The relocation of an industrial and manufacturing center is a highly complex and demanding endeavor. As a result, it’s important to rely on an experienced professional. 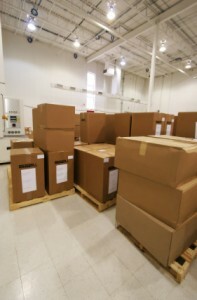 Michigan Office Mover’s commercial moving services include specialized industrial office moving solutions which provide your organization with exclusive resources and expertise for tackling the challenges of moving your facility. Incorporating specialized equipment and specially trained staff, we ensure that your operation maintains productivity before, during and after your physical relocation. We are committed to minimizing down-time for your operation. Our project management team will coordinate vendor timelines, departmental priorities and logistical schedules to maximize efficiency for every phase of your project. We place high priority on communication before, during and after your relocation project. This proactive approach guarantees positive results. Whether you have a large scale plant relocation or a smaller scale internal equipment reconfiguration, please contact us by phone or fill in the form on the page for a cost free, no obligation consultation.